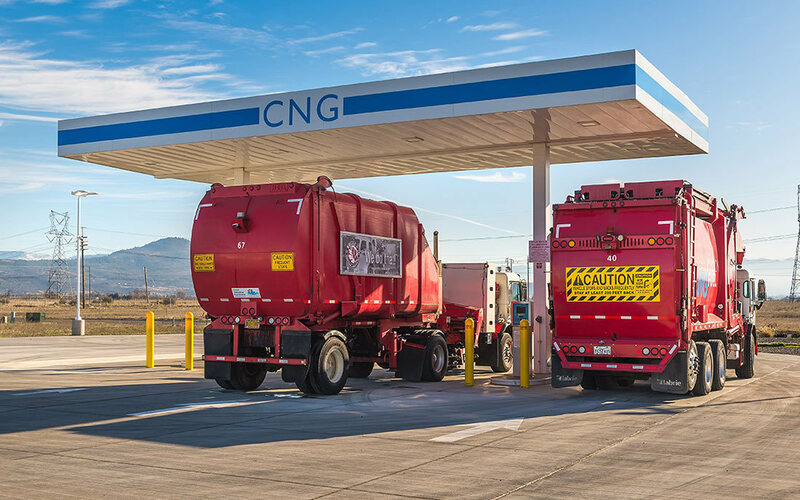 The advancement of cleaner fuels — including CNG from Rogue Clean Fuels — will help our region meet the Oregon state guidelines for reduced greenhouse gases from transportation fuels. We believe so strongly in the environmental and economic benefits of CNG that more than half of our Rogue Disposal & Recycling fleet has now been converted to run on cleaner, greener compressed natural gas — with the remaining trucks being converted over the next five years. Living in the shadow of the mighty Cascades and Siskiyous is something we don’t take for granted. Now the same can be said about our air. CNG from Rogue Clean Fuels is available for both private and commercial vehicles. You’ll find the Rogue Clean Fuels CNG station in White City at 1240 Antelope Road.